To provide clients' families with a quick-response, natural, non-toxic ingredients system to deal with the consequences of head lice infestations. LTC is passionate about educating families; school and camp staffs; and administrators about lice prevention in order to mitigate the spread of lice in their highly susceptible populations. How do you get rid of head lice or pediculosis in children? What are the best, safest treatments against these noxious pests? These are questions that drove Elizabeth Solovay and Dr. Elin Cohen, two mothers with seven children between them, to find some answers. Dr. Cohen, a practicing, board-certified pediatrician, was continually being asked by parents: What’s the best treatment for stopping head lice? At the same time, Solovay, a successful real estate agent in New York, was also battling recurring bouts of pediculosis in her own children. The two women met and agreed that more effective lice treatments were needed in the industry. They combined their knowledge bases – Cohen’s medical and scientific background and Solovay’s business acumen – to develop better methodologies and more effective lice-removal products. By 2005, they had made enough progress with research and development to start a national business: Lice Treatment Center®, now headquartered in Monroe, Conn. Dr. Cohen formulated a line of products – by LTC® – that is both chemical-free and effective against head lice, their nits (eggs), and young offspring (nymphs). 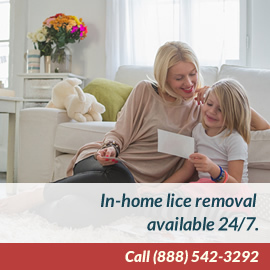 Our Lice Insurance™ Programs for Schools and Camps provide checks and lice-removal services on a contract basis, and LTC Lice Technician Training and Certification is conducted regularly at our company’s Monroe, Connecticut, headquarters. LTC has successfully served more than 250,000 families over the last 15 years and has satellite affiliates across the country.